We understand how important it is to restore the appearance of your car without having the need to repaint your car. Our company offers services that retain the paint finish of your car when you drop by for a quick fix for damage like dents caused by hail or road debris, dings from collisions. 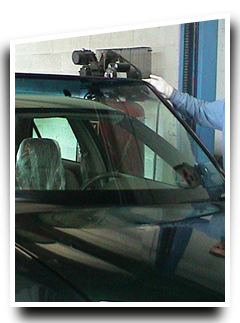 We are known for our paint-less dent removal services and other mobile auto body repair services. As a reputable auto repair shop in Toledo, Ohio, our experienced auto repair professionals will take a look at your vehicle and provide the best solution for your unique auto repair needs. Having dents, dings or creases on your vehicle will hurt your finances and your confidence when you drive around town with a car that looks like it obviously needs repairs. It is a good thing that high-grade metal and hard-wearing paint has now been made available, and that with these, innovative equipment and techniques are also available for repairing cars when they experience wear and tear from harsh environmental elements or when you get involved in a collision. 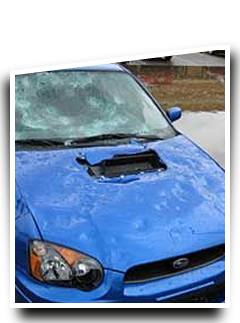 Come to us for hail dent repair, windshield repair and replacement. Paint-less dent removal uses specialized tools and equipment that will allow our team of experts to push dents back into place without marring the original paint of your car. There are many issues that can be worrisome if you ask for traditional auto body repair services that necessitate repainting or sanding for your car. Repainting your vehicle sets you up for a risk in incorrect color matching. You also need to look out for paint overspray when the job is underway. Aside from these issues, you also decrease the value of your car by not retaining its original paint finish. When you need to re-sell your vehicle, you will not get as much value as you would have wanted to from your car. If you want to protect your car's value, have it repaired by our seasoned team of experts in Toledo. We specialize in paint-less dent removal services that are guaranteed to retain your car's original factory paint finish, enabling you to maintain or increase your car's re-sale value. When we remove dents form your car, we simply push the dent or crease back so that it blends again with the original structure of the car and the paint texture of your vehicle. Our first-rate auto repair tools will keep the integrity of your car by accurately pinpointing the extent of the damage to your car. Perfectly positioned, we apply pressure from the back of the dent, working from the edges to the center until it appears the same as before. We have highly-trained technicians who are familiar with various car models and makes. 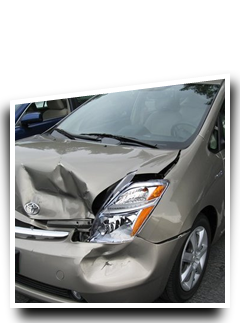 Our expertise in auto body repair services is unmatched by our competitors. Clients are confident about the work we do because we attend to customer's needs with care and consideration for their unique needs. Using original parts and products for your vehicle will assure you that we will have your vehicle looking at its best. With its original paint finish in place when we remove dents and dings from your vehicle, your car will be good as new. Our meticulous work leaves customers feeling happy about the custom results they get from our paint-less dent removal services. Our mobile auto body repair services allow you the convenience of having your car fixed at your location. Not only will you get to monitor the progress of your vehicle easily, but we also rid you of the hassle of figuring out how to drop off your vehicle for repairs and pick it up from our shop after we have successfully repaired it, not to mention the time it has to spend there. Place your vehicle in the capable hands of our experienced professionals and we will have it looking as beautiful as it did before it was damaged or wrecked. No need to worry about minor damages to your car when you have our certified car technicians to look after it. Dents, dings or creases are no match for the precision of the instruments we use and the patience of our auto repair technicians. Traditional auto body repairs are still used by some auto shops in Toledo, but our company offers more advanced technology in answering your auto body repair concerns. Not only do our services only take a fraction of the time spent by those who use traditional auto repairs, our means of repairing dents and dings in your car costs even less! When you think about the value of your vehicle, you want to make sure that you get the best deal when you choose the auto shop that you want to work with. Our team of car body repair experts has all that you require from a dependable auto repair shop. Working with quality materials, having exceptional training, providing expertise coupled with proactive customer service skills, Dents Away is your go-to shop for all your car body repair needs. When you want a trusted company that can offer a wealth of experience, Dents Away auto body repair shop is here to provide you with the services that suit your needs perfectly. Mobile repair services that do not have to set you back more than is really needed; our company will arrange for specialized tools and apply advanced techniques to get your car back on the road in top condition. With its restored body and impeccable original paint finish, you are all set to get back on the road the same day you have your car checked. Same-day service is not uncommon at our auto body repair shop. Members of our team work quickly and with precision. You will be happy with the results you will see from the quality services we provide. The accuracy in our work is not only a result of our technicians' skill. Our passion for good workmanship and beautiful-looking vehicles extends to the work we do and we are unmatched in our diligence and accuracy when we work on your vehicle's dents, dings and creases. Contact our team of car repair experts today! We will set your car up with our highly-skilled technicians who are passionate in providing quality service to all our customers.